Judith has a long standing interest in World War 1 and has spent many hours researching the lives of the men of her town who fell in WW1. Who is the Duke of Cornwall? "Duke of Cornwall" is one of the titles of the eldest son of the reigning monarch. The first Duke of Cornwall was the Black Prince, Edward of Woodstock, the eldest son of Edward III. Presently, Prince Charles is the Duke of Cornwall. During World War 1 the Duke was Prince Edward, later Edward VIII. Cornwall's regiment in 1914 was the Duke of Cornwall's Light Infantry (DCLI). 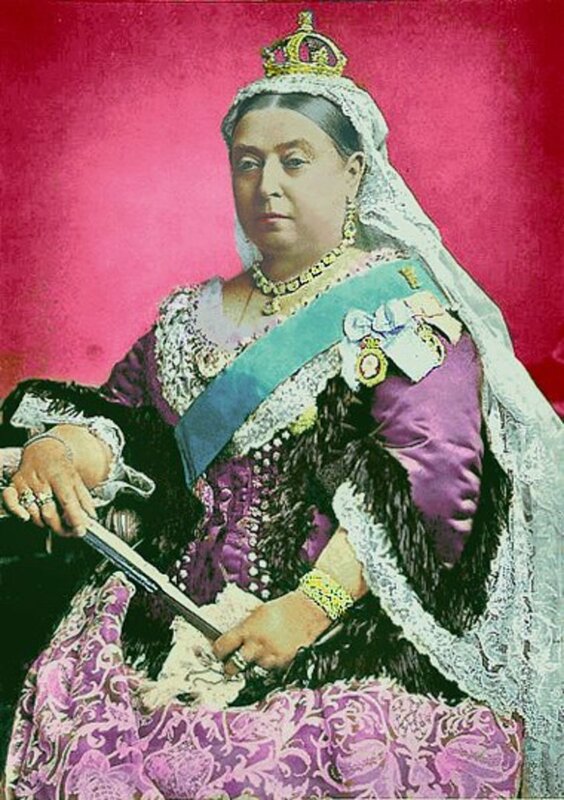 The Regiment was formed in 1881 from two former regiments: 32nd (Cornwall Light Infantry) Regiment of Foot and 46th (Devonshire) Regiment of Foot. 1st Battalion DCLI was the former 32nd Foot whilst 46th Foot became 2nd Battalion DCLI. As in other regiments, one battalion was always stationed at home, whilst the other was abroad. The roles exchanged every three or four years. In addition to the regular battalions, the DCLI had territorial battalions. 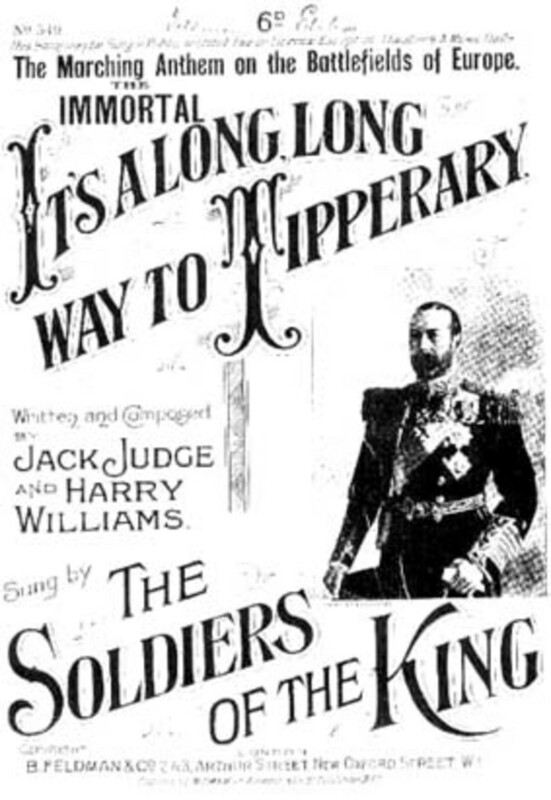 As the war proceeded, the Regiment was augmented several times with new battalions, part of Lord Kitchener's "New Army". These battalions were known as "Service" battalions, the men only serving for the duration of the war. The DCLI had a number of new battalions, some of which served overseas, some of which were held in reserve and a couple of which were labour battalions. For a complete history of the Duke of Cornwall's Light Infantry during World War One, I would recommend Everard Wyrall's comprehensive book on the subject. Here, however, is a very brief overview of the Regiment during the Great War, with a few stories of individuals and battalions. The Cornwalls first met the Germans at around 6am on 23rd August 1914. A patrol of German dragoons rode towards a sentry post. Oblivious to the sentries, the Germans nearly rode past the three privates of the Cornwalls lying silently in a concealed ditch. When a German officer did spot them and reached for his revolver he was shot by Private Sambrook. Shortly afterwards, a detachment of German lancers ran into the Cornwalls, and again shots were fired. Later in the day the DCLI lost their first man: Private William Thomas Gow. There minor skirmishes were soon to escalate as the German forces advanced en masse upon the small British Expeditionary Force (BEF). Faced with far superior numbers the BEF had to retire, but did so in good order. The BEF were able to hold up the German First Army and so prevent the French Fifth Army being flanked. The retreat is known as the Retreat from Mons. In 1914 the 1st Battalion DCLI was the "home" battalion, stationed with 14th Brigade, part of 5th Division at the Curragh in Ireland. The Brigade orders to mobilize were received at 5.25pm on 4th August. Reservists were called to rejoin the Colours and had to travel from all over England to the DCLI's depot at Bodmin in order to be kitted out, from where they travelled by train and boat to join the Battalion at the Curragh. Incredibly, by 7th August the Battalion was at full strength, all its reservists having managed to report for duty at the Curragh. Only two didn't make it, both of them being at sea. Four battalions made up 14th Brigade: 1st DCLI, 2nd Suffolks, 1st East Surreys and 2nd Manchesters. The Cornwalls and some of the Suffolks set off from Dublin for France aboard SS Lanfranc on 13th August 1914. They arrived at Le Havre on 15th August to an enthusiastic welcome from the French and heavy rain. Most of the next four years were spent on the Western Front, although briefly the Brigade was sent to Italy. Reginald Bennett was a bugler with the 1st DCLI. He was a married man, living in Newquay, Cornwall with a wife and three young children. He was a merchant seaman, but joined the army early in the war. Late in 1917 his wife, Florence, received the tersely worded telegram that every family dreaded. Reginald had been killed in action on 4th October 1917 during the Battle of Briidseinde, a phase of the Battle of 3rd Ypres ("Passchendaele). His body was not recovered but his name is inscribed on the Tyne Cot Memorial to the Missing. 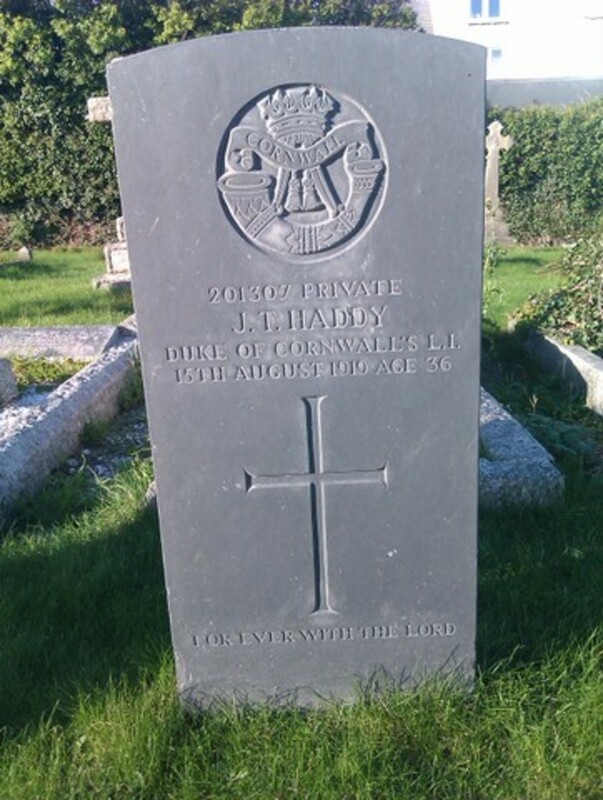 He is also remembered on the Newquay War Memorial, as well as a plaque in the town church. Reginald's family still live in Cornwall and some have been able to visit the Tyne Cot Memorial. The 2nd Cornwalls were in their trenches at St Eloi, in the Ypres Salient, on 22nd April 1915. 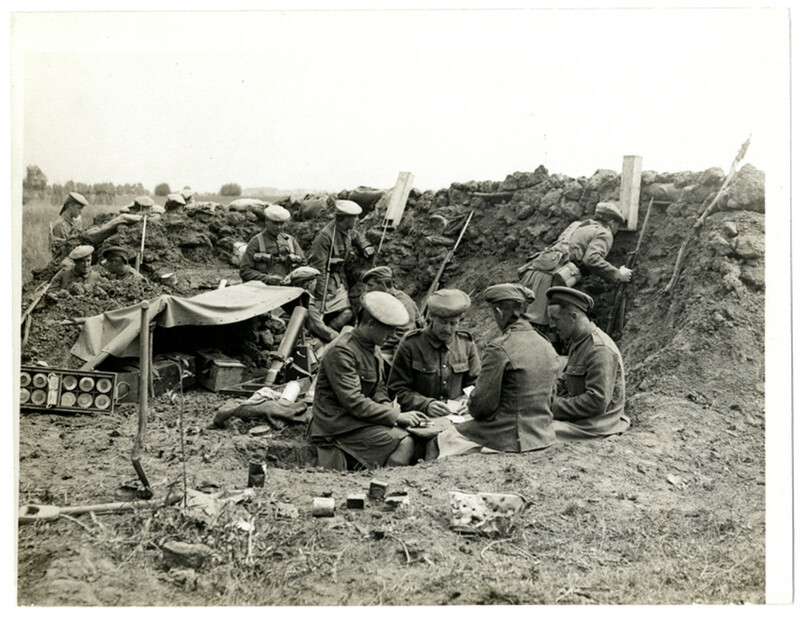 The Battalion War diary relates that French troops began arriving in their trenches with stories of a gas attack against French colonial troops. This was the first time that the Germans had used poison gas. The following day, Lieut-Col. Willyams reported that the Battalion encountered a man who they took to be one of the French colonial troops. Wounded and unarmed, he asked where they were going and on being told that they were going to attack the Germans he asked to join them. He was given a rifle, ammunition and a quick tutorial on how to load. He was with the first wave of Cornwalls but was killed soon after going over the top. At the outset of the war, the 2nd Battalion, in Hong Kong, was called upon for some unusual service. In Hong Kong's harbour, HMS Triumph's crew was under strength and she was unable to set off with the rest of the fleet. Volunteers were called for from 2nd DCLI to help man the ship. Around 100 men and two officers joined the ship's company and set off for the fleet at Tsing Tao. En route HMS Triumph took a couple of German vessels, putting prize crews aboard. When HMS Triumph joined the fleet, the Cornwalls were sent back to the Battalion in Hong Kong, from where they were told to await orders. "Perhaps the highest praise I can give them, from a Naval point of view, is that they have carried out the duties of seamen and I have forgotten they were soldiers." The 2nd DCLI arrived at Le Havre on 21st December 1914 together with the other battalions of the 82nd Brigade: 1st Royal Irish Regiment, 2nd Royal Irish Fusiliers and 1st Leinsters. The Brigade moved to the St Eloi sector on 12th January 1915 and the Cornwalls suffered their first casualties the next day: two killed and fourteen wounded. During their time in the St Eloi trenches the Cornwalls lost a few other men too; Cornish miners were poached by the new Tunnelling Companies as they had valuable experience that could be put to good use in sapping. In October 1915 the 2nd Cornwalls exchanged the mud of the Western Front for the rocky terrain of Salonika, where they remained for the duration of the war. Their war effectively ended on 30th September 1918 when the Bulgarians surrendered. Thomas Edward Rendle was to the the Cornwalls' only recipient of the Victoria Cross. Rendle was a 29 year old Bandsman in 1st Battalion and, like other bandsmen, served as a stretcher bearer. On 20th November 1914 A Company was in the front line trenches whilst C Company was in the support trench. A German airplane was close overhead, giving range to the German artillery which was shelling the Cornwalls. Second Lieutenant Colebrooke was wounded in the knee and cut off due to a collapsed trench. 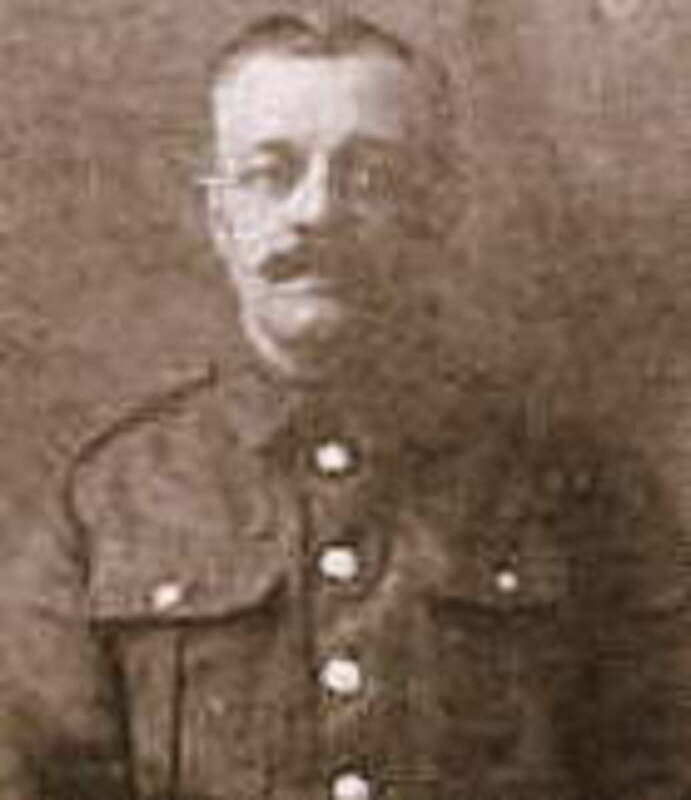 Bandsman Rendle, who had been working throughout the day to free casualties, crawled across the blown-in trench under heavy fire, attended to the officer's leg and with Lt Colebrooke on his back, scraped away at the earth to get him back to safety. For his conspicuous bravery on the 20th November 1914, near Wulverghem, when he attended to the wounded under very heavy shell fire and rifle fire, and rescued men from the trenches in which they had been buried by the blowing in of the parapets by the fire of the enemy's heavy howitzers. Harry Patch (1898-2009) was "just" an ordinary soldier but in recent years his name has become well-known. He has been featured on television documentaries and schoolchildren now learn about his life. How did this unassuming man, who served with 7th DCLI, become a celebrity? Harry Patch was the last surviving Tommy to have served in the trenches of World War One. Mr Patch returned to his life as a plumber after the war and never spoke about his time on the Western Front. However, in the years leading up to his death, he did begin to share his experiences and he became a figure of national attention. His medals are held at the Cornwall Regiment's Museum, in the former Garrison building at Bodmin. The men of the 7th DCLI were largely volunteers and according to the Battalion diary many were "young and immature townsmen" yet goes on to note that they "behaved exceedingly well". These young men were put to the test during the Battles of the Somme in 1916. At the Battle of Guillemont they were shelled heavily on 23rd August and on the following two days. Nevertheless they kept the enemy at bay until they were relieved on the afternoon of the 25th. 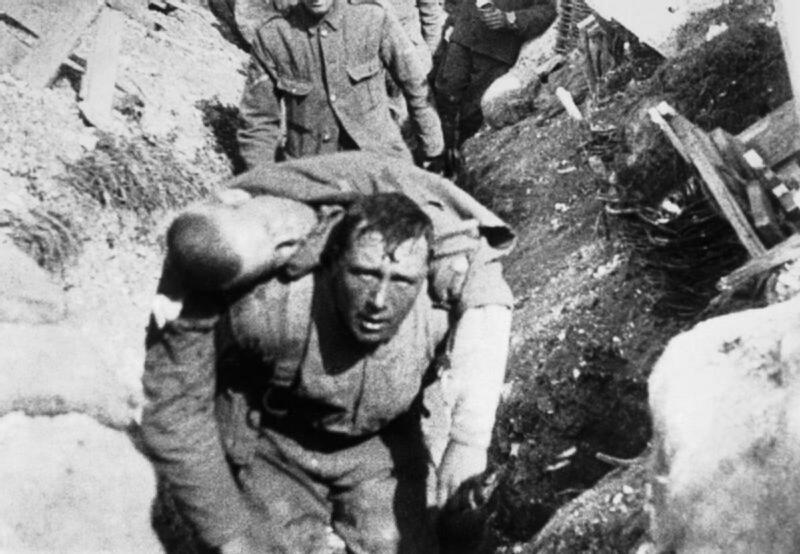 There was no rest; the men were set to work clearing trenches and then marched back to the front line on the 30th. There they had only one dug-out for the entire Battalion and they endured a miserable time knee deep in mud, surrounded by dead bodies and under attack with shells and gas. On 1st September the Battalion notes that the tour was "the most trying we have experienced". Sadly, the Somme was not the last battle the 7th Cornwalls took part in and there was more of the same mud and misery to come at Passchendaele, 3rd Ypres the following year. NB: This is not an exhaustive list of the battles of each Battalion. 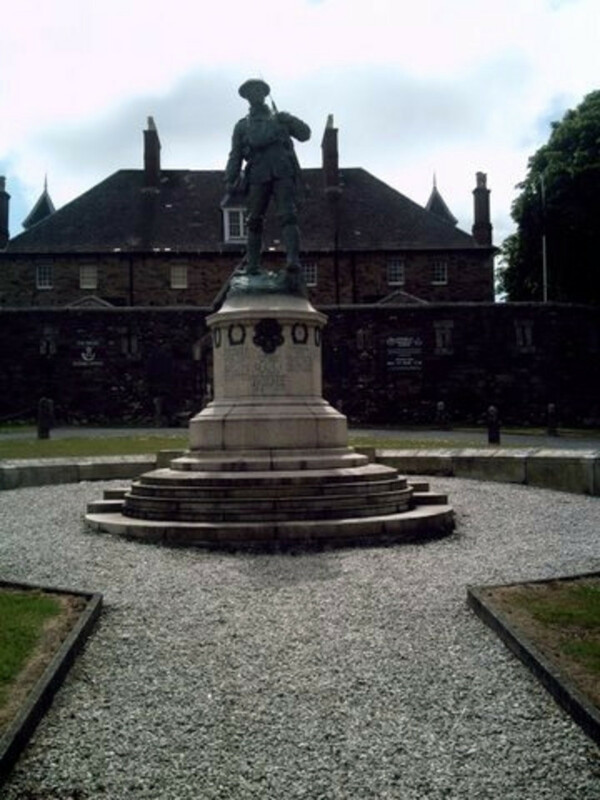 The Regimental Museum is housed at Bodmin in the former Keep at the DCLI's old Garrison. The museum charts the history of Cornwall's regiment from its early days as 32nd and 46th Foot through to The Rifles of today. There are a great many medals, uniforms and weapons on display and an exhibit about Harry Patch. Between the two World Wars the Regiment went back to its pre-war size, ie two Battalions. They served in Ireland, India and Iraq. The Regiment went to war again in 1939 and had a hill in Normandy named after it: Cornwall Hill, formerly Hill 112, where over 300 Cornwalls were killed or wounded in 1944. The Regiment was merged with the Somerset Light Infantry in 1950 to form the Somerset and Cornwall Light Infantry. In 1968 the Somerset and Light Infantry was amalgamated with three other infantry regiments to form The Light Infantry. Since 2007 The Light Infantry, amalgamated with several other regiments, has become The Rifles. Hi Kristen - thank you! Glad you enjoyed reading about my local regiment. 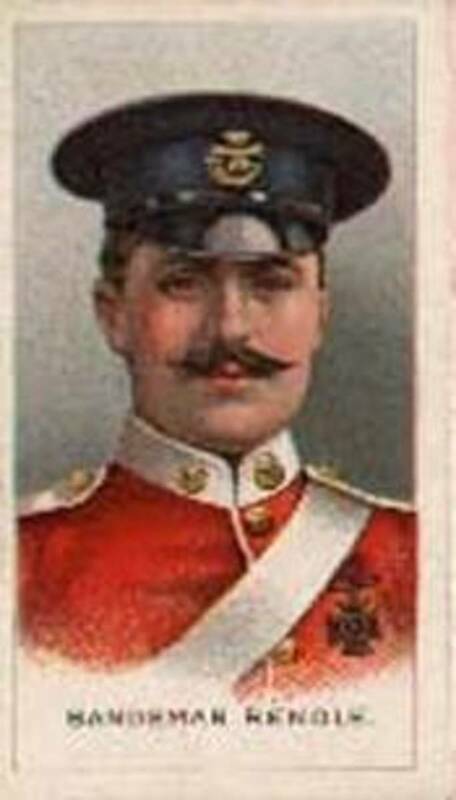 I must remember to update it - I've found out some more trivia concerning Bugler Rendle VC and my family. Judi this was a fascinating read about the DCLI. It was real interesting to know this part of history. Voted up! Hi Lee - I'm still researching the DCLI in WW1 and feel like I've only touched the tip of the iceberg. Glad you enjoyed this overview of the Regiment and thanks for the kind words. Good luck Jaki -let me know if I can help. Thanks very much JPSO138 - glad you enjoyed it. I am always interested on history and your hub provided me great and quality information about the past. Up for this one! Thanks pubrooms - only just found your comment in my spam folder, so sorry for the delay. You're right - it's a great name for a pub :D Thanks so much for the comments, much appreciated. Hi Peter Geekie - thanks very much for the compliment! My research into my local war memorial is very small scale stuff, but I do enjoy it. Thanks very much for your comments, great to hear from you again. Excellent well researched and written article. We still still have much to learn about the events of The Great War and I thank you for your contribution. Hi David - I definitely learn a lot writing hubs and even more by researching my war memorial. I am still only a novice, but hopefully I will get there in the end - I find it a fascinating area of history. Hi Goodlady - I started researching the men on my local war memorial about a year ago and, because so many were in the DCLI, I have built up a bit of knowledge about the regiment. I am often left near tears by some of the stories too. Thanks for your kind comments and support, always appreciated! Hi Natasha - really great to hear that you found this well-organised and easy to understand. Thanks so much for your comments, I appreciate them! Hi Bill - always appreciate your kind comments, and I am very glad you enjoyed this hub - it's a subject close to my heart! Fascinating history of the regiment. It does seem difficult to keep track of all the mergings and different names without a scorecard. It was interesting to read about the various battalions being sent to places I have written about (e.g. Mons, Salonika). I think writing these hubs teaches the writer as much as the reader-- does for me anyway. Keep up the great work, judi. My eyes were glued to the page and I found myself crying at all the true stories. My Grandmother used to refer to battles every now and then, say things like "George was lost at Mons", casually. Our grandparents were indeed mostly silent about the War(s), too traumatized by their horror, too unable to relate to them. You've written a wonderful tribute to this/these historically brave Regiment(s) and I greatly appreciate you mentioning some of the individual stories in depth. Your chart will help historians and students wonderfully! This hub is so well organized and thorough! I love how you explain all the terms so that us non-Commonwealthers can easily understand. Judi, that was fascinating! I loved the last video and you did a wonderful job of researching and presenting the information. Bravo my friend! Hi Denise - the video sound isn't great, I'm afraid. Harry Patch was something of a pacifist and took a dim view of the war and regretted the losses on both sides. I really don't know much about American units in WW1 - another hub for another day, perhaps! Very informative and well written. I couldn't understand, completely what Mr. Patch said but I believe it was "War is a calculated, highly condoned slaughter of human beings." Wow. Interesting statement. I like your table, too. As an American, I find it interesting to read about the UK's stories about WWI because, really, many battles occurred right in your backyard whereas we, here in the US, see it as something that happened far away. I can't imagine the terror the people must have experienced with the war going on near their homes. You have done a wonderful job writing about the brave men from Cornwall who helped to defend your country and the world.